With Frigidaire’s reputation for durability, easy maintenance, availability of reliable parts and service you can count on, you can be sure that you’re getting the highest-quality performance with this FRP77ETT3R air conditioner with electric heater. It maintains the preset room temperature so the room remains comfortable at all times and helps control energy leaks. Features like Effortless™ Auto Restart and Ready-Select® LCD controls make operation very easy for you and your guests to operate. In addition, the smart self-check provides nine diagnostic points for self-check and correction of fault conditions. 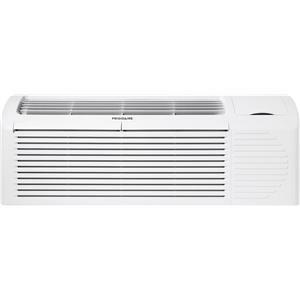 With 7,200 BTUs and 3 adjustable fan settings, you can create the perfect temperature for your home. With Energy-Saver Option and SilentDesign™ this air conditioner with electric heat is great for any home! 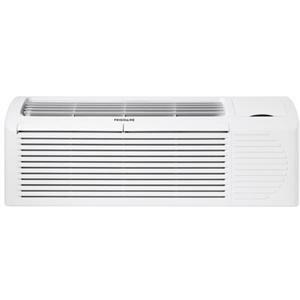 The Air Conditioners Packaged Terminal 7,200 BTU Air Conditioner with Electric Heater by Frigidaire at VanDrie Home Furnishings in the Cadillac, Traverse City, Big Rapids, Houghton Lake and Northern Michigan area. Product availability may vary. Contact us for the most current availability on this product. Effortless™ Restart: In the event of a power outage, self-enabling Effortless™ restart feature automatically resumes operating at previous settings when power is restored. Effortless™ Operation: Simple, intuitive room controls are easy for guests to operate — ensuring a relaxing, more comfortable stay. Features like Effortless™ Auto Restart and Ready-Select® LCD controls reduce maintenance calls. Multi-Speed Fan: Three adjustable fan settings and cool, heat and fan only options — provide the ideal level of comfort and control for every guest’s preference. Eco-Friendly: Frigidaire® uses R-410A refrigerant that’s not harmful to the earth’s ozone layer and meets U.S. Environmental Protection Agency requirements. Ready-Select® Electronic Controls: Simply select options with the touch of a button. Effortless™ Control: Frigidaire® PTACs are designed for adaptability for any climate or guest preference. By adding the convenience of an optional remote thermostats, you can allow guests to effortlessly control their temperature and air movement to create their own comfort zone. Effortless™ Temperature Control: Frigidaire® air conditioners maintain the preset room temperature so the room remains comfortable at all times and helps control energy levels. 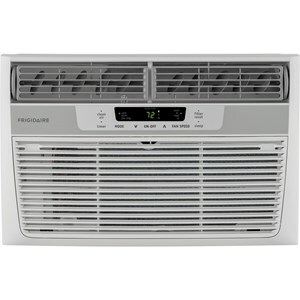 Effortless™ Maintenance: With Frigidaire®’s reputation for durability, easy maintenance, availability of reliable parts, and service you can count on, you can be sure that you’re getting the highest-quality performance. 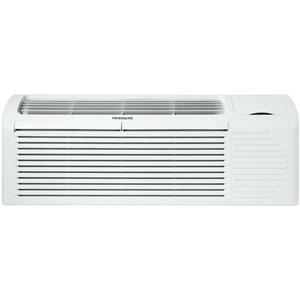 Energy-Saver Option: This function effortlessly maximizes energy efficiency while keeping guests comfortable. Effortless™ Clean Air Filter: Upfront location makes regular cleaning quick and effortless, prolonging the unit life. Effortless™ Auto Freeze Protection: Unit operates at a low voltage to protect unoccupied rooms from freezing temperatures. Effortless™ Random Restart Protection: Delays restart after a power outage to protect the electrical circuit from power surges.